I've been making records since 1989. I enjoy working closely with clients who are as passionate about music as I am. 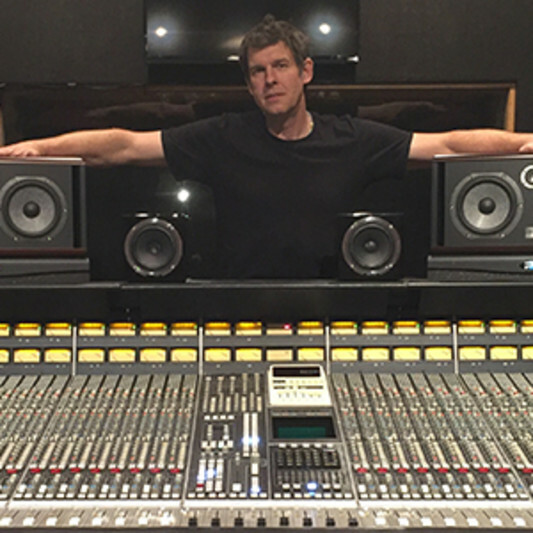 We can work out of my SSL equipped studio here in Chicago, or your studio of choice. Either way I do look forward to hearing your music and helping you achieve your goals. I enjoy working in the genres of Rock, Blues, Country music, or Hip Hop mostly. I love to utilize vintage analog gear as well as the latest toys. As a producer, I excel at working closely with clients on a very personal level to help them bring out there true talent and absolute best performance. As an engineer, it is up to me to then capture that best performance. After the great performance, and great sounding tracks - We Mix! As a mixer, I become more of an extension of the artist themselves, taking that performance and painting an audio portrait of the spirit and passion that went into the writing of the song itself. I enjoy working with clients that bring talent and passion to the table. I tend to gravitate towards the more commercial side, yet also enjoy the edgy side as well. My skills are not in the genres of Death Metal, Boy Bands, or Hip Hop. I like to focus mostly on Rock, Bluesy Rock, and Country. A: Many people think I just hit the record button. The truth is this, the relationship between producer and artist is a deep personal relationship. It requires respect and honesty between the 2. I record yes, but I also add another dimension to the process, a second set of ears, a second opinion, and a second point of view which allows the song to become a work of art. A: I would love to work with Pink. She has an incredible voice. A: I mostly enjoy, rock, hip hop, and country. Im not a big fan of Death Metal. A: Right now I'm working with a singer songwriter on his first album project. Very cool vibe similar to Beck. A: I haven't look at anyone on here yet, I'll let you know when I do. A: "Digilog" - because Analog needs to be brought into the digital realm eventually, and Digital needs an analog front end to make it sound musical... so "Digilog" - I just made that up ;) I'm the pun king of Chicago! A: I promise to give you all I've got and to go the extra mile. A: Working with the people, the artists, the folks like me. A: The most frequent question I here is - Why should I work with you? My answer is simply this, because I can bring out your best performance, and I mix it like you want it to be heard. A: 1. Do you like pizza? 2. If we work together, will you bring the passion needed to make this record the best it can be? A: Look for someone that you can work with, someone who will work with YOU - get to know them a little bit before making a decision. If the provider isn't a people person, there is going to be an issue. A: Telefunken 251, Neve1073, 1176 Compressor, Ampex Tape Machine, and a coconut opener. A: I started playing guitar at age 9, got my first record deal at age 18, and was able to tour the world by age 23. I found that I enjoyed being on the producer side of the glass if you will more so than the artist side. Something about helping people develop their art seemed to fulfill me better. A: I had written a song for my brother as he was heading off to fight in Iraq. The song was one of those just spewed out of me in 5 minutes. I was able to record the song with some pretty cool guys. The next thing you know the song was licensed to a movie, then a band out of L.A. asked if they could record it as well - all in the same year. It was a pretty cool year. A: My style is laid back, no pressure, and I try to become an extension of the artist, sort of their 3rd eye if you will. A: Tip #1 - Relax! Nobody works well under pressure. If the passion isn't there, the performance isn't there, so just relax. A: Working with people has got to be my strongest skill, that and my love for pizza. Chicago style please. A: I suppose the biggest thing that I can bring to the song is my ability to work with the artist and develop what they feel inside, turning the song into something where those emotions can be felt by the audience. A: I am a people person, so the process starts there. I get to know the client, get inside their head and feel the passion that they're trying to put into the song. There is no step one, step two process really, its a matter of getting that emotion onto tape. A: My studio is pretty cool, very viby. At the heart of the studio we have the SSL 4048e/g locked to ProTools. We have a ton of vintage gear including La2a's and 1176 compressors. One of the unique features of my studio is the ability to mix here while you listen in the comfort of you own home whether you live in L.A., New York, or London - if you have a decent internet connection, you can listen in on the mix session. A: My favorite artists range from the Beatles, Led Zeppelin, and Keith Urban to Vince Gill, Pink, and Red Hot Chili Peppers. Producers that I think highly of include Phil Ramone, Butch Vig, George Martin, and Rick Rubin. A: I work with bands, singers, and artists as a producer and mixer typically. I also engineer for select clients.